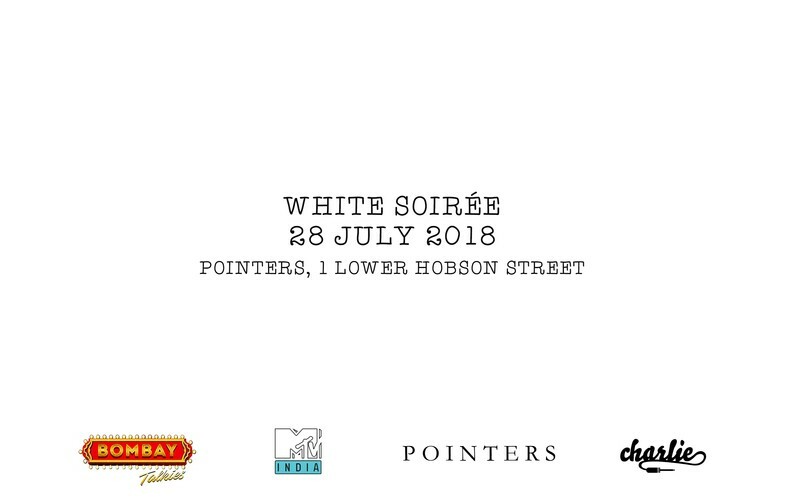 Bombay Talkies & MTV India present White Soirée right in the heart of Auckland City at Pointers, 1 Lower Hobson Street. White (Strictly Suited) for gentlemen. Gown/cocktail attire for ladies. Charlie - She is known to be one of the finest Bollywood and Top40 DJs in New Zealand. Charlie has been the choice of the topmost events throughout New Zealand, Australia and India. Known for opening for King of Bollywood, Shah Rukh Khan’s Temptation Reloaded Tour in Auckland and having spun in Australia and India, she is one of the top entertainment DJs in the industry. Playing alongside RDB, Bally Sagoo, Raghav and many more artists. - Tickets available on Eventfinda or message us on Facebook to purchase them. - This is an R18 event. - We have a strict dress code for this event. Gentlemen must be suited. Ladies must be dressed in a gown or cocktail attire. - No single male or group of males can present a pre-purchased ticket at the door (this is to have equal ratio of male and female). - Tickets purchased cannot be sold to someone else. - Doors open at 10:30 pm. You must be at the door with your group latest by 10:30 pm with your valid NZ ID (Drivers Licence or Passport).